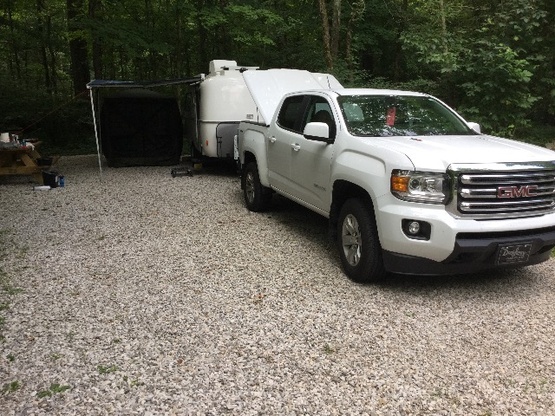 Currently 1/2 time campers in 2017 Casita Liberty Deluxe heavily modified to boondock whenever available. 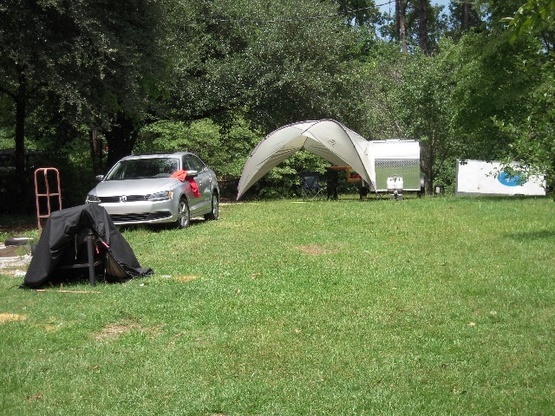 Located on a small private lakeside community about midway between Raleigh, NC and the central NC coast. 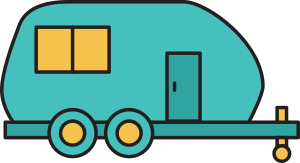 Relatively familiar with rv construction and repair. Have a stick built homebuilt teardrop trailer and have restored several campers and boats over the years. One chocolate Lab usually travels with us. Planning trip from North Carolina to Alaska via the trans Canadian Highway in mid June of '18 for a few months. Really enjoy Alaska, the deserts, and the Outer Banks of NC as well as mountains anywhere. Located about 10 miles southeast of Goldsboro, NC a community of about 40,000 residents and a metro area population of around 120,000 people. Goldsboro is the home of Seymour Johnson Air Force Base and has pretty much all needed services. 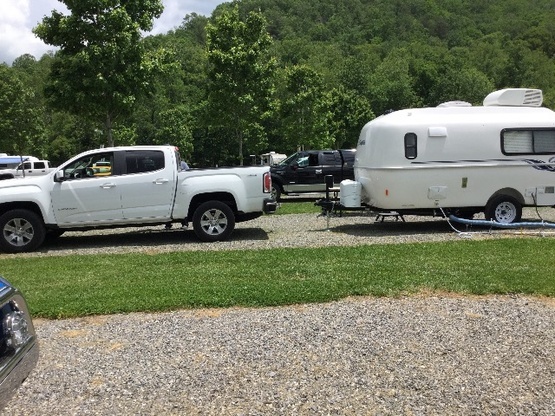 2017 GMC Canyon DuraMax Diesel towing a 2017 Casita 17 foot Liberty Deluxe heavily modified for boondocking. Our hosts place is at the end of a dead end road. It was mostly level, dark and quiet. Our hosts were very friendly and gracious in parking us in a pretty level sit just off their driveway. Would stay there again for sure! Larry was very kind and helpful. I appreciated the overnight stay and the generous, accommodating attitude of the host. Do be aware that the most level place to park is next to the road and while most people abide by the 20 mph speed limit many do not. The neighborhood is private and quiet so there are only a few cars going by but something to be aware of. We stayed here for a couple days- Larry was great, we hardly saw each other with busy work schedule but we enjoyed the place. Quiet snd peaceful! Thanks Larry! We had a great stay at LarryJ’s place. It’s located on a small, but beautiful, lake that we had full access to canoe on, or just sit next to. LarryJ and his wife were there when we got there and were very welcoming and accommodating. He even provided me with some minor materials I needed for a repair I had to make on our camper and gave us a ride to the local Nuese River so we could canoe it. We highly recommend this host site and will keep it on our list of good places to stop if ever through this area again. Thank you very much LarryJ. Lovely location, friendly welcome, happy dog......what more could anyone ask for? We past a good night over there. Very peacefully place. Thank you for your hospitality. The location is beautiful and very quiet. 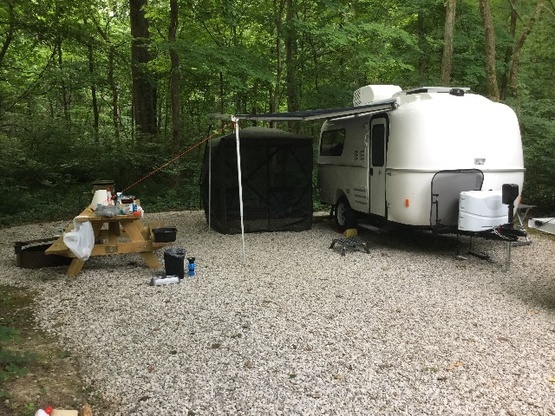 Stayed with Larry for one night, very quiet and peaceful location. Easy access and found Larry to be very receptive and accommodating. We stopped at Larry's place for one night in July of 2013. He is very nice and and helpful.